TECHNOLOGY | ARCHITECTURE + DESIGN is a peer-­reviewed international journal dedicated to the advancement of scholarship in the field of building technology, with a particular focus on its translation, integration, and impact on architecture and design. 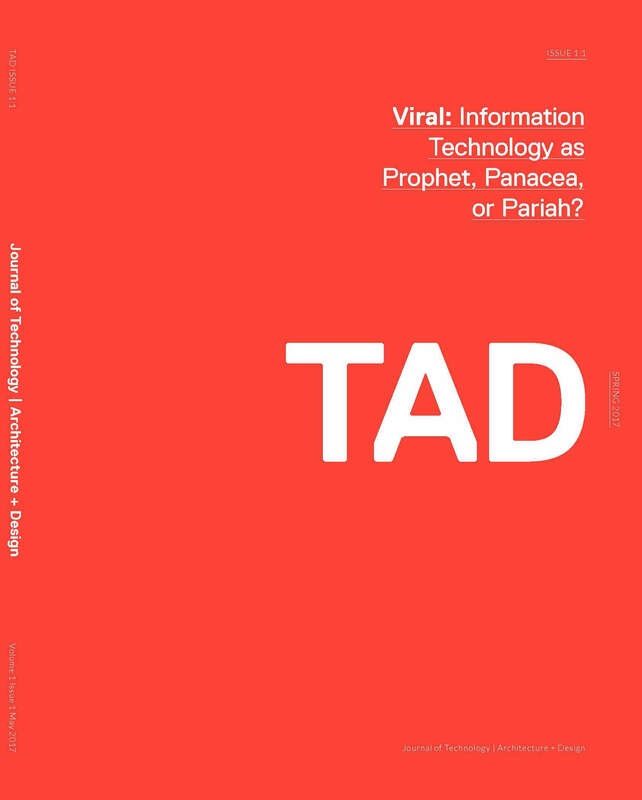 TAD solicits, captures, and shares new knowledge in how we think, make and use technology within the building arts. Published articles feature primary research in emerging materials, construction techniques, design integration, structures, building systems, energy, environmental design, information technology, digital fabrication, sustainability and resiliency, project delivery, the history and theory of technology, and building technology education. Aimed at researchers, educators, and practitioners, the journal advances and transforms the current discourse on building based technologies with the goal of expanding, reimagining and challenging its role for architecture and design. TAD is the first new journal published by the Association of Collegiate Schools of Architecture (ACSA) in seventy years. The journal’s startup is also supported by the American Institute of Architects (AIA) and the Building Technology Educators Society (BTES). Caryn is a Founding Editorial Board Member and the inaugural Design Editor.